At CARE, we install an assortment of vehicle lifts to accommodate all needs, from carrying a small scooter to the largest of power wheelchairs. 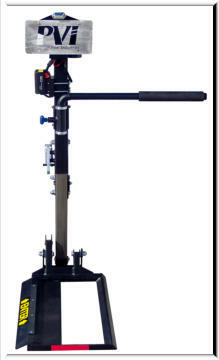 Our vehicle lifts install quickly and are very easy to operate. There are options to handle anything from a lightweight scooter, up to a fully dressed 400lb. powered wheelchair. Most have a unique option of a “swing away” arm installation which allows you easy access to your vehicle’s trunk or hatch. 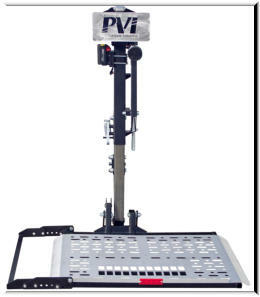 Prairie View Industries Trekaway INDE2 - Universal Power Lift • Mounts easily to class II or III trailer hitches • 27.5” wide x 36” long platform • Optional swing away installation for easy trunk or hatch access • Easy to operate controls • 350lb. weight capacity - With optional upgrade to 400lb. 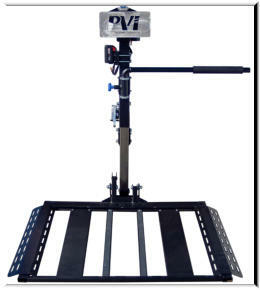 Prairie View Industries Trekaway INDE1 - Scooter Lift • Mounts easily to class II or III trailer hitches • 27.5” wide x 36” long platform with extension to 46” • Optional swing away installation for easy trunk or hatch access • Easy to operate controls • 350lb. weight capacity - With optional upgrade to 400lb. 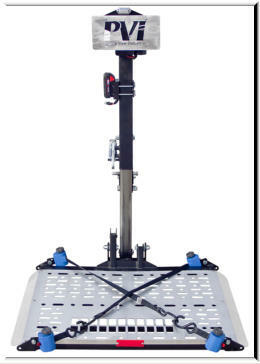 Prairie View Industries Trekaway INDE4 - XL Universal Chair Lift • Mounts easily to class III trailer hitches or greater • 32.5” wide x 38.5” long platform • Optional swing away installation for easy trunk or hatch access • Easy to operate controls • 350lb. weight capacity - With optional upgrade to 400lb. Prairie View Industries Trekaway INDE3 - Compact Chair Lift • Mounts easily to class II or III trailer hitches • 27” wide x 16.5” long platform • Optional swing away installation for easy trunk or hatch access • Easy to operate controls • 350lb. 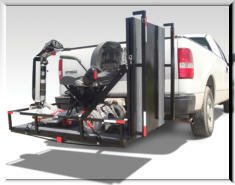 weight capacity - With optional upgrade to 400lb.